Dr. Ali is kind, empathetic, and knowledgeable. He takes time to LISTEN as well as speak to patient concerns. He isvery personable and very effective at "putting your mind at ease". In short, Dr. Ali is a consummate health professional, and I highly recommend him !! Dr. Ali is kind, empathetic, and knowledgeable. He takes time to LISTEN as well as speak to patient concerns. He is very personable and very effective at "putting your mind atease". In short, Dr. Ali is a consummate health professional, and I highly recommend him !! Dr. Ali is knowledgeable, friendly, and willing to take time to answer questions, then be sure we understand. Dr. Ali earned his Medical Degree in Lahore, Pakistan and moved to the United States in 2005 to continue his medical training. He completed an Internal Medicine residency at the University of Illinois at Chicago and a Gastroenterology and Hepatology fellowship at the University of Texas Southwestern in Dallas. Dr. Ali is skilled in all areas of Gastroenterology with special interests in colon cancer screening, GERD, Hepatology including Hepatitis B & C, management of inflammatory bowel disease including Crohn’s disease and Ulcerative Colitis. Dr. Ali is also committed to the advancement of his field, having published and presented numerous Gastroenterology and Hepatology publications during his post graduate training. He is passionate about providing quality patient care in a compassionate and efficient manner. 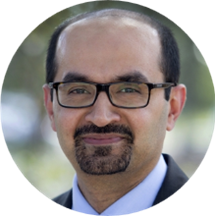 When not practicing medicine, Dr. Ali enjoys spending time with his wife and 2 young boys. He is an avid movie buff, traveler and self-proclaimed “techie”. Felt I received excellent diagnosis that was well understood. Did not feel rushed. All questions answered. Recommend this doctor to anyone looking for a Gastro doctor. Friendly, knowledgeable, concerned, and overall ?? great doctor. I love Dr Ali, his smile,his positive attitude, and his bedside manner is such a plus. He is easy to talk to and listens when you talk. We need more doctors like this. I always leave feeling good. I really hope he can cure me and make me defeat this 14 yeqr old problem once and for all! This was my initial visit with Dr. Ali, and I found him to be a good listener. He took my concerns seriously and discussed a plan for addressing them which began with non-invasive treatment, and then tests if that did notwork. I'll be following up with him and will have a better sense then of how he proceeds with my care. His office staff was efficient, courteous and sensitive to my needs. They suggested that my next visit could be at a location nearer to my home. He was AMAZING! This is the second time to see him within a year. He was very quick to see me once I was placed in a room, and I waited MAYBE 3 minutes max to be called back after signingin. It was a busy, but calm and comfortable waiting room. He listened to all of my concerns, made sure that I had a chance to ask questions, and gave me my options. He has a very kind and professional manner. Staff was also great! Total 5 star experience! Thanks to you all! Excellent experience. Could not ask for a better Professional to oversee a issue. Explains conditions, causes and treatments better than anyone I have experienced. A five star Physician ! Dr Ali is an awesome Dr. He doesn't rush you and he makes sure all your questions are answered and is very thorough. He is probably the first Dr I have ever felt I could talk to and have a great relationship with. I wish he was my primary care physician! He was concern with my medical issues and was very informative. Great visit. Very professional, informational and understanding! I was very happy with my appointment. Doctor Muhammad Ali was very informative and had a great bedside manner. He explained my health conditions and told me what I needed to do to get in better health. He is very easy to talk to you. Very clean office friendly staff short wait time and Dr. Ali is friendly and takes the time to answer any questions and explain any treatment plans. DR. Ali was a great doctor and he took the time to allow me to voice my concerns and was actively listening. It was my first visit and I will continue to see this doctor. explained what was going and what would happen. Great doctor , he took the time to answer my questions and hear my concerns. Staff was very friendly as well . Very IMFORMATIVE DR. EXPLAINED EVERYTHING TOO ME VERY WELL. IT WAS A GOOD APPOINTMENT. My visit was great. Dr Ali is very easy to talk to. I would recommend him to everyone. Great doctor. Took time to explain options and listened to my concerns. Thankful I found a good doctor that I feel I can trust. That is worth so much to me. Dr answered all my questions and concerns. Also explained them well enough in terms that I could understand. Listened very attentively even though I am a long story teller. Used visual example to help me understand what the problem was. Very nice and treated his staff well. I appreciated that he could figure out exactly what the problem was. Doctor was very thorough, listened to my needs, wasn't rushed, very kind. The visit went well. After listening to my problem, the doctor suggested a medication to try and see if works to my benefit. I will try the medication as suggested and if it works I will receive a written prescription and have it filled by a military phamarcy. Great doctor. Very thorough and seeks to find resolution. My experience with Dr. Ali has been excellent. He is very professional, thorough, and complete in his communication. I feel very fortunate to have been referred to Dr. Ali for my care. Dr. Muhammad Ali was very friendly and understanding. He took his time to explain everything to me in depth. He even asked me 3-4 times if I had any questions or concerns. Pleasant and attentive to my concerns. Dr. Ali is very courteous, explains medical procedure and reason to have it done. This was my first visit with him, and he reviewed my medical history as well as my medications, and asked me questions as to why I tooksome of them. I highly recommend him as a gastroenterologist. It's always a pleasure to meet with him. He puts me at ease and is very empathetic. Dr Ali is very thorough and very professional. He has called me at home FOUR times to check on me and to share lab results! Astounding! It was my first visit and I thought Dr. Muhammad answered and explained in very detail information about health. I was very pleased with my first visit, he made me feel at ease and answered my questions very professionally but also in language I could understand. I left feeling very reassured that my concerns were addressed and he would be attentive to any ongoing problems. Great experience. I look forward to working with Dr. Ali. I was seeing another GI doctor and was not getting any good info on my problems, I told my Endocrinologist Dr. Aziz, he recommended Dr. Ali. I have been very nervous for about 2 months because I didn't know what todo....In my visit with Dr. M. Ali he brought In a model and began to explain what I had. He was very thorough and instructed me on what I needed to do, and his plan was very comforting . I feel so relieved that I saw Dr. Ali, I thank God and Dr. Aziz for recommending Him... I look forward to working with his care plan and feeling better. Dr. Ali and his staff were very professional, efficient, and top-notch. They all provided a stress-free appointment. I love this doctor. He truly listens to your concerns and educates you . He is very polite and they are very quick to see you and get you out but making sure all your concerns are addressed first. I would recommend him to everyone I know. Dr Ali is just a super guy! He listens very well to your problems and makes me feel very comfortable and at ease while in his care.